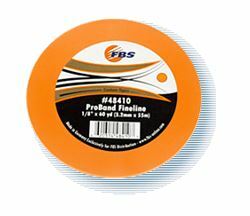 Proband Fineline Tape offer a sharp line and a clean finish to all of your projects. Proband ORANGE is great for straight lines and curves offering a medium rigidity. 3M Trim Masking Tape is designed to lift and protect trim moldings during masking - eliminating overspray and visible paint edges. It features a hard bandalong its edge that slips quickly and easily between trim moldings and auto bodysurfaces - allowing for paint to flow under the molding while keeping the exterior masked. The 5 mm firm strip of this tape is slid under the molding. Theliner on the remaining adhesive side is then removed and the tape is folded overand adhered to the glass - actually lifting up the molding and allowing paint toflow under it. This tape saves time - labor - and the cost of removing and installing new moldings - plus the removal of paint lines on existing moldings. 3M Trim Masking Tape is designed to lift and protect trim moldings during masking - eliminating overspray and visible paint edges. It features a hard bandalong its edge that slips quickly and easily between trim moldings and auto bodysurfaces - allowing for paint to flow under the molding while keeping the exterior masked. 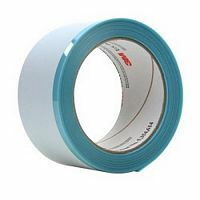 3M Automotive Acrylic Plus Attachment Tape is original equipment manufacturer (OEM) approved and is a stronger - higher performing - higher stress handling product than other automotive attachment tapes. Typical application areas for this tape include body side moldings -claddings - rocker panel trim - wheel flares - bumper time and other exterior and interior automotive trim components. 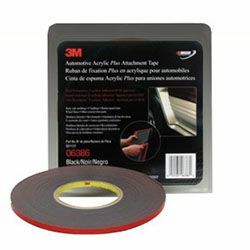 3M Automotive Acrylic Plus Attachment Tape is a .045 inch thick medium-density black foam tape with high-performance acrylic adhesives on both sides and a red release liner. 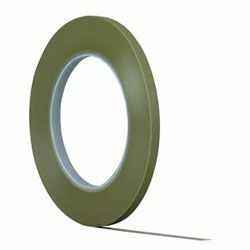 (OEM) Approved and is a stronger - higher performing - higher stress handling product than other automotive attachment tapes. Typical application areas for this tape include body side moldings - claddings - rocker panel trim - wheel flares - bumper time and other exterior and interior automotive trim components. 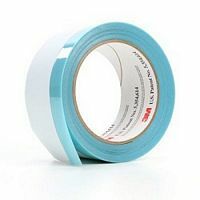 3M Nameplate Repair Tape is a 0.03-inch thick, medium-density gray foam tape with high-performance acrylic adhesives on both sides and a red release liner. 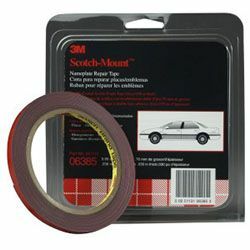 This tape uses automotive OEM approved acrylic foam core and adhesive technology. This tape can bring the advantages of pressure-sensitive bonding to new areas - including the repair of nameplates and emblems. The sealing properties of the acrylic adhesive provide an excellent barrier to water and road dirt that might corrode or damage exterior parts and surfaces. 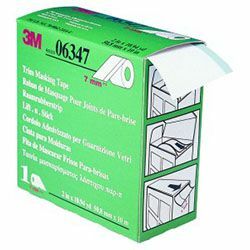 3M Automotive Acrylic Plus Attachment Tape features two adhesives - one on each side of a 1.12mm closed-cell acrylic foam core. Liner-side adhesive is formulated for bonding to automotive paint systems. Non liner-side bonds to metals and plastics used in automotive components. Both adhesives deliver excellent initial tack and adhesive build. A 1/4 inch width is suitable for exacting applications.